Kate Mosse’s books are available for download at Audible.com. Read excerpts of Labyrinth and Sepulchre at Kate Mosse’s website. CLICK HERE FOR MORE TITLES BY KATE MOSSE. 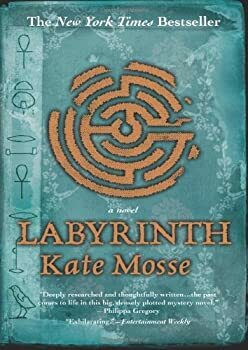 Kate Mosse's Labyrinth has one of the best premises for a novel I've heard in a long time: two women, one from the past, one from the present, both caught up in a search for the Holy Grail. The former is entrusted with one of three books leading to the Grail's hiding place, whilst the latter becomes entangled in a conspiracy concerning its rediscovery. 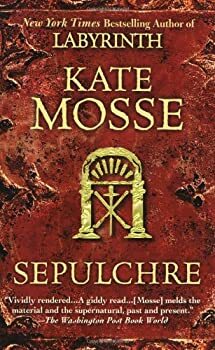 Kate Mosse's Sepulchre is a historical fantasy — historical fiction with fantastic elements. I enjoy both genres, and this novel features a female graduate student (somebody I can relate to) as one of the main characters, and it's available for download at Audible, so I thought it would be good entertainment on my commute. I got about ten chapters in before quitting. 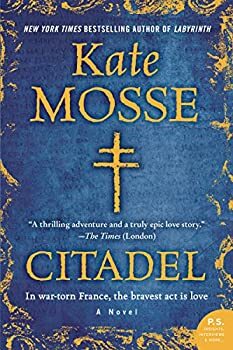 Citadel by Kate MosseI have a strange relationship with books by Kate Mosse. On the one hand, I love the atmosphere and descriptive qualities of her work — it transports you to the south of France in vivid prose; filled with the sights, sounds and smells of another time and place. She clearly loves the history and ambience of the Languedoc, and every page is filled with sensory detail. On the other hand, Mosse's plots are slow and rambling, packed full of extraneous details and unnecessary subplots. Often chapters can go by where nothing particularly interesting or important happens, and with a little ruthless editing I'm sure each book's length could be halved. 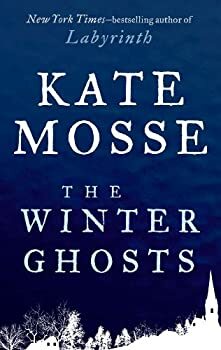 First of all, it’s important to note that Kate Mosse’s The Winter Ghosts is nowhere near the same length as her other works, particularly her best-known books Labyrinth, Sepulchre and Citadel. It’s best described as a novella, one which can probably be read in one sitting (it took me two). Your enjoyment will probably hinge on knowing beforehand that this isn’t a dense holiday read, but a thinly-plotted though atmospheric story about a man’s brush with the supernatural, told predominantly in his own words.